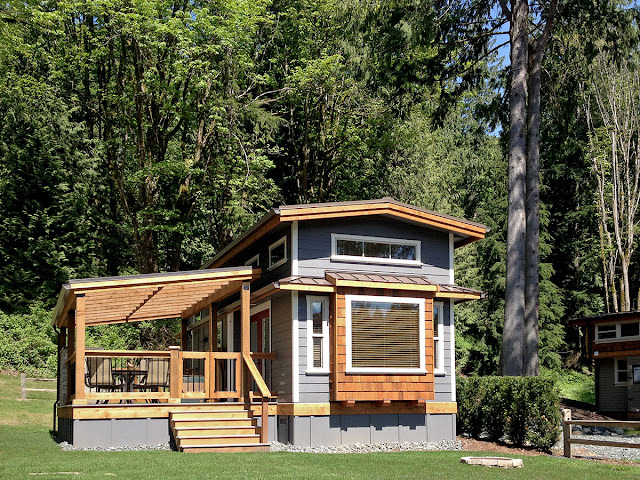 A getaway cottage that's energy-efficient, uncomplicated, and provides all the amenities and comforts of a traditional home. 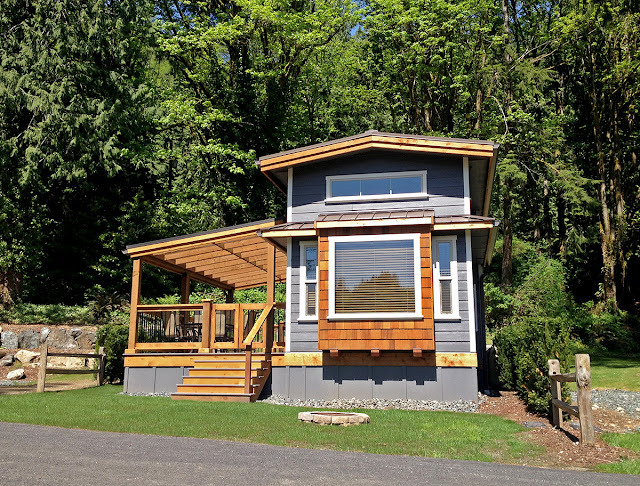 Designed by West Coast Homes, this 400-sq-ft park model home was one of several created for Wildwood Lake Front Cottages. 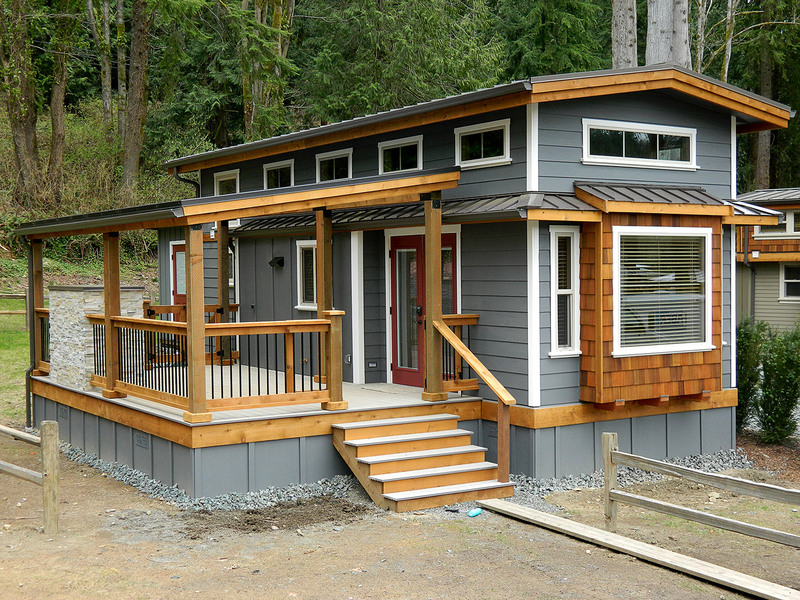 The cottage pictured here has a similar layout to the San Juan model. 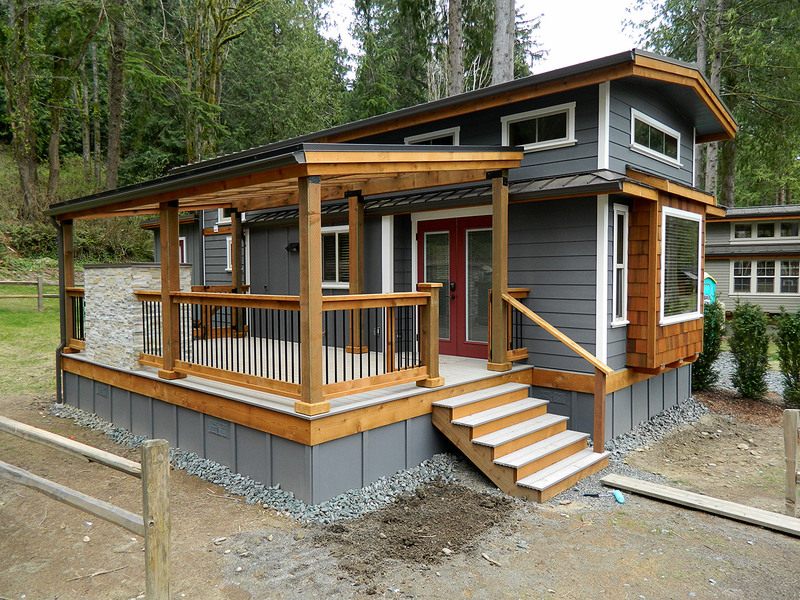 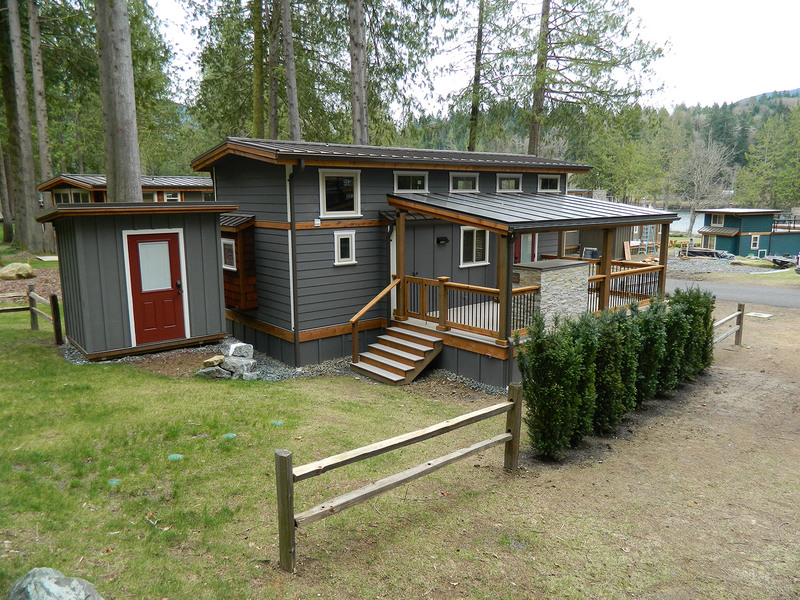 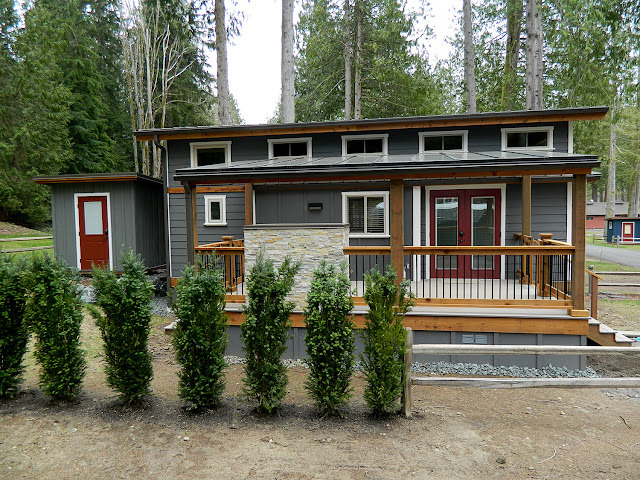 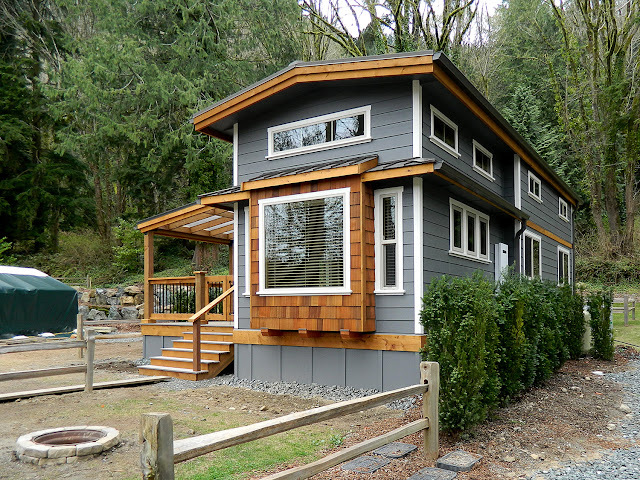 It can be custom ordered from West Coast Homes here, starting at $125,000!